Looking for a native Thai voice to give your project that authentic touch? Look no further - we have a great selection of professional Thai voice over artists for you. Our narrators are versatile and are ready to record the perfect voice over for your project, be it a radio commercial, an explainer video, an e-learning or training video, an IVR, or anything else - let us find the right voice actor for the job. Scroll down to our native Thai voice actors and have a listen to their voice samples. You can also download them to your computer if you'd like. Not sure where to go from here? Just drop us a line and we'll make the process as easy and smooth for you. More than 20 million people speak Thai as a first language. Thai is also the second language for an additional 40 million people around the world. A member of the Tai-Kadai language family, spoken Thai sounds remarkably similar to Lao. 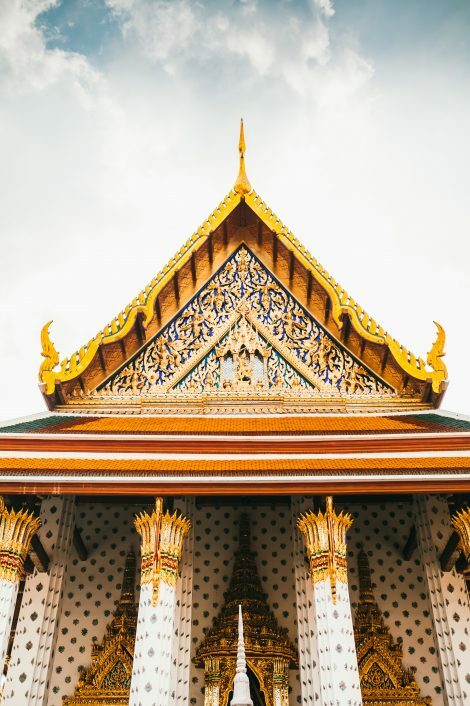 The Thai language was influenced greatly by the languages of Sanskrit, Old Khmer, and Pali. In fact, over half of the words used in the Thai language now can be traced back to one of those dialects. Regulated by the Royal Society of Thailand, this standard form of Thai is what is taught throughout the schools in Bangkok. However, there are many regional dialects of Thai that are spoken in all of Thailand. Some of the more than ten different dialects are the same as Thai when written, with only slight pronunciation differences when spoken aloud. When creating multimedia productions that are geared toward a Thai audience, the standard form of Thai is generally acceptable. If you require a more specialized version, like Phu Thai, Isan, or Northern Thai, do not hesitate to let us know. The native Thai voice actors at Voice Crafters are here to help make your content shine! Contact us today for a free quote. The voice over for this product was recorded by Thai voice over talent Kritsada J.
Kritsada used to work for the BBC World Service and has voiced for Pepsi Co, Fanta, Amway, Intel, Fedex, Harley Davidson, Christian Dior and many others!